Water is a scarce resource and due to Urbanization and Globalization water usage will increase in the coming years. Industries like power, oil, and gas, pharmaceuticals, and chemicals generate a large volume of wastewater which contains solid waste, organic waste, toxic and non-toxic chemicals which further affects the environment. In fact, many government and industries have come up with initiatives to reduce water waste by installing ZLD, which in turn will reduce water wastage, and help them attain a sustainable environment. The key driver for zero liquid discharge is a growing concern about the impact of wastewater discharge on the environment. Such concern is resulting in increased regulation and limitation of wastewater discharges. Organizations in India are targeting ZLD for their waste because they can sell the solids that are produced or reuse as a part of the industrial process. For example, salt is the by-product we get at the last stage of ZLD. This salt can be used in the textile process. Zero liquid discharge is an advanced water treatment process which purifies and recycles the wastewater at the end of the industrial process with zero liquid waste at the end. 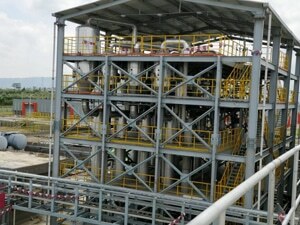 Zero liquid discharge at Arvind Envisol is achieved in the most energy efficient method as it saves around 80% of the energy compared to the conventional ZLD techniques used by other companies. The reason why we are so efficient in this process is our patented polymeric film technology which we are using in Mechanical vapour recompression evaporator (MVRE). Saves up to 80% energy compared to other ZLD technologies. Approximate 95% of liquid can be recovered out of the liquid waste fed to the system for treatment. Treat and retrieve valuable by-products from your waste (i.e. salts and brines). Produce a dry solid cake for disposal. 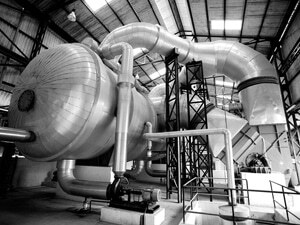 MVRE is an energy recovery evaporator which compresses a low-pressure vapour and produces a low volume of vapour with high pressure and temperature. In MVRE influent is heated with steam and the vapour produced are compressed and sent to a heat exchanger where it gets condensed and we get pure water at the outlet. Generally, MVRE is used before MEE to reduce the TDS concentration of influent. This system is available in polymeric film technology. After RO effluent is fed into MVRE to remove high volatile compounds which were not removed in the previous process. In this process water recovered is approximately 80%. MVRE is available in polymeric film technology. In MEE sequences of vessels are used. Here water is boiled in the vessels, each held at a lower pressure than the last, because the boiling temperature of the water decreases as pressure decreases the vapour boiled off in one vessel can be used to heat the next, and only the first vessel (at the highest pressure) requires an external source of heat. Effluent fed into MEE is of a kind which has very high TDS. Water recovery in this process is around 95%.